A quarter of a century ago, when I was young and had stars in my eyes and wanted to be a television writer, I daydreamed of making a very off-key and off-kilter cop show called Department of Murder. 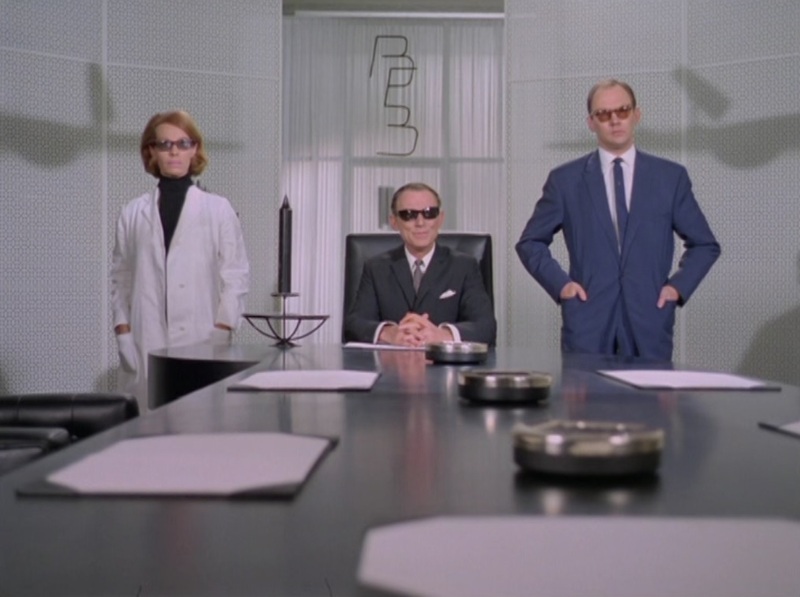 I spent a lot of time devising characters and plots, and one thing I definitely wanted to do was bring back these villains: the Business Efficiency Bureau, a trio of psychologists and experts who can be hired to literally eliminate the competition. They do so by identifying phobias and driving business rivals out of their minds. About the only thing you can say against Philip Levene’s “The Fear Merchants,” which introduced the baddies for what would sadly be their only appearance – The Avengers was rarely a show for return engagements – is that it needs one more bit of oomph to make their villainy work. When they learn one target has agoraphobia, they just dump him in Wembley Stadium and that’s it, he’s incapacitated permanently. The episode needed a fear gas or a some sort of mental programming to really push people over the edge once the villains work their efficiency magic to make the episode both a little more believable and sinister. Otherwise, it’s just so fun! Our son needed a little help following this one, and he had no idea why I collapsed in laughter over one of the all-time great sight gags, where the camera is following somebody dressed like Steed, until Steed and Mrs. Peel come around a corner and it starts following them instead. He also didn’t understand that the Business Efficiency Bureau changes its business from a monthly retainer into a monthly blackmail payment. In his defense, not only is he still very young, but Levene’s script is delightfully subtle about how the hired firm suddenly becomes the dominant partner. But he absolutely loved the great fight that Steed has with Garfield Morgan, who’d later play DCI Haskins, Regan’s boss in The Sweeney. They brawl in a pit with a bulldozer teetering on the edge above them! In the cast, Patrick Cargill, who we saw in last season’s “The Murder Market,” is the main villain, and the wonderful Brian Wilde is the businessman who bought a lot more trouble than he bargained for. 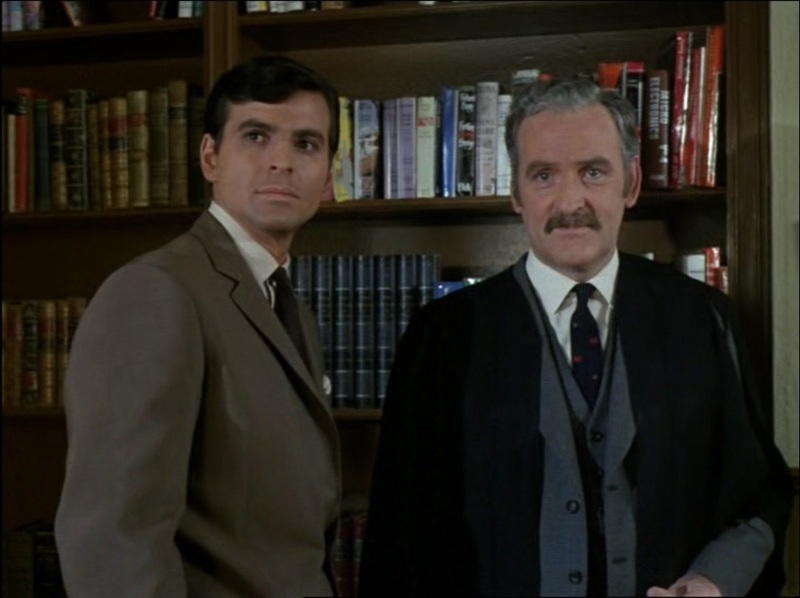 In smaller parts as Wilde’s rivals, there are the familiar-to-us faces of Edward Burnham, Bernard Horsfall, and Andrew Keir, who would star in Quatermass and the Pit later the same year. 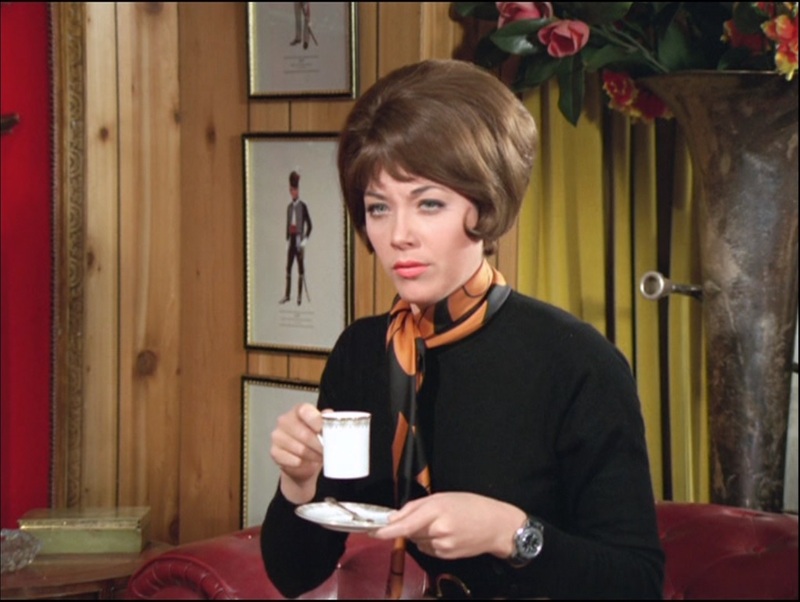 Sadly, Annette Carell, who was a frequent guest star in British adventure shows of the period, passed away about nine months after this was shown.